California Water Code §5101 requires each person or organization that uses diverted surface water or pumped groundwater from a known subterranean stream after December 31, 1965 to file with the State Water Board a Statement of Water Diversion and Use. Water use reporting requirements do not apply to individuals who receive all of their water through a municipal water system, or whose entire water diversions are delivered through a public or private water agency. Those authorized entities file reports with the State Water Board. During the most recent drought, the State Water Resources Control Board (State Water Board) had to make decisions as to which water right holders had to curtail their use and by how much. It was a process that informed the regulators as well as water right holders that more efficient and accurate measurement and reporting practices are needed in the future when water scarcity forces drastic measures. It also re-emphasized the complexity of California’s water rights system. In response to the five year drought (2012-2016) Senate Bill 88 added provisions to the California Water Code which addressed the measuring and monitoring requirements for surface water diverters. An Emergency Regulation for Measuring and Reporting on the Diversion of Water was passed in December 2015 to implement SB 88. 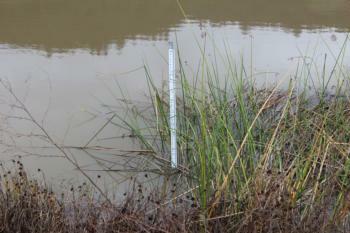 SB 88 requires all water right holders - who have previously diverted or intend to divert more than 10 acre-feet per year (including riparian and pre-1914 claims), or who are authorized to divert more than 10 acre-feet per year (under a permit, license, or registration) - to measure and report the water they divert. It also established a new deadline for the online reporting of appropriative water rights (now April 1). The deadline to file online riparian statements of use remains July 1. The deadline for installing measuring devices and filing a report of the measuring device varies depending on the amount of the diversion. SB 88 set expectations for both accuracy of the measuring devices and monitoring frequency. The larger the diversions, the more stringent the measurement and monitoring requirements. If the annual diversion is greater than or equal to 100 acre-feet per year or storage is greater than or equal to 100 acre-feet, then the installation and certification measurement methods used are required to be approved by an engineer/contractor/professional. Assembly Bill 589 became law January 1, 2018. 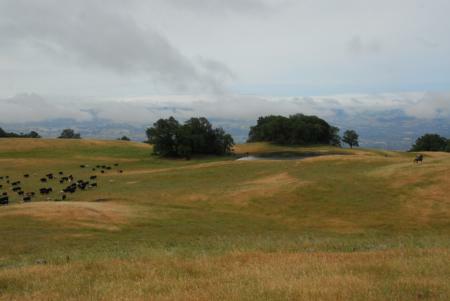 The legislation was sponsored by the California Cattlemen’s Association and supported by California Farm Bureau Federation. It allows any diverter, as defined, who has completed a course on measurement devices and methods administered by the University of California Cooperative Extension, including passage of a proficiency test to be considered a “qualified individual” who may install and maintain measuring devices or implement methods of measurement that are used for their own annual diversions. 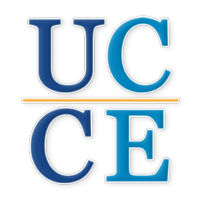 The law requires the University of California Cooperative Extension and the State Water Board to jointly develop the curriculum for the course and the proficiency test. UC Cooperative Extension is offering a course in Santa Rosa on May 7. Pre-registration is required. Please visit the following website to register OR call our office 565-2621 and we will email or fax you a mail-in registration form. You may also print the mail-in registration form from the following website.